So #BendGate is over. It was funny, ridiculous and all around crazy. 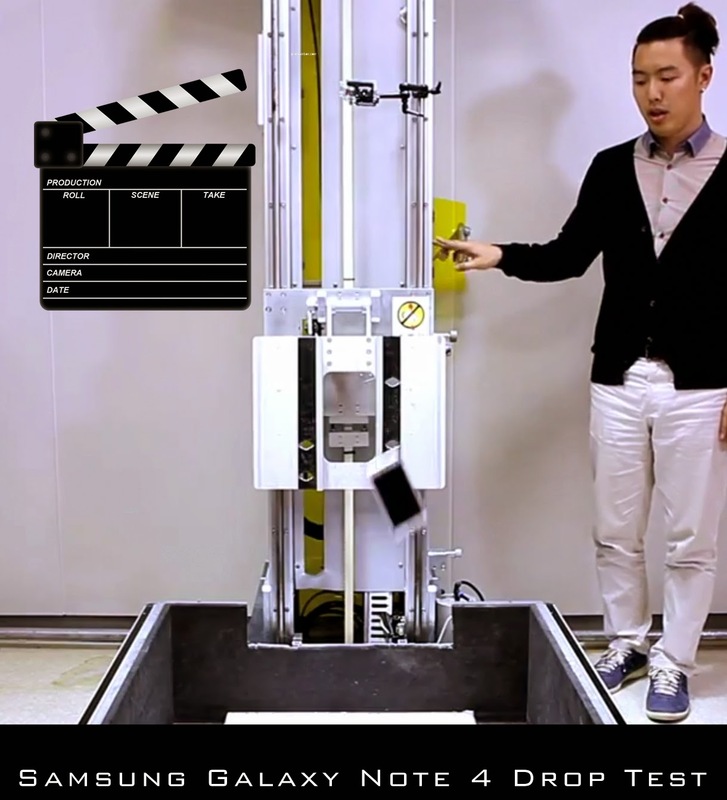 Samsung’s ready to move on from that specific angle of the durability debate and they’re looking to do so by putting their own Note 4 to a good ol’ drop test. The result? It’s pretty frickin’ strong and should stand up to some tough falls should you be fortunate enough to drop it onto a hard surface. Samsung obviously isn’t the only company that knows how to make a durable phone, but they’ll sure act like it in the wake of all this negative iPhone 6 coverage. 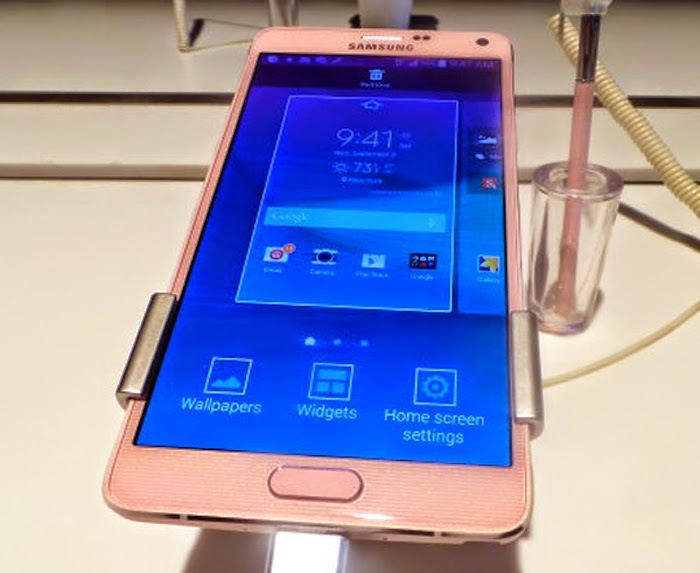 At the least, you won’t have to worry about the durability of your phone should you decide to purchase a Samsung Galaxy Note 4 later this month (unless that worrisome gap bothers the ever living crap out of you). Check out the drop test above. It’s been easy for Samsung and others to make jokes at the expense of Apple throughout this whole #BendGate controversy, but Samsung has decided to shelves the jokes for now and show folks how durable their own smartphone really is. 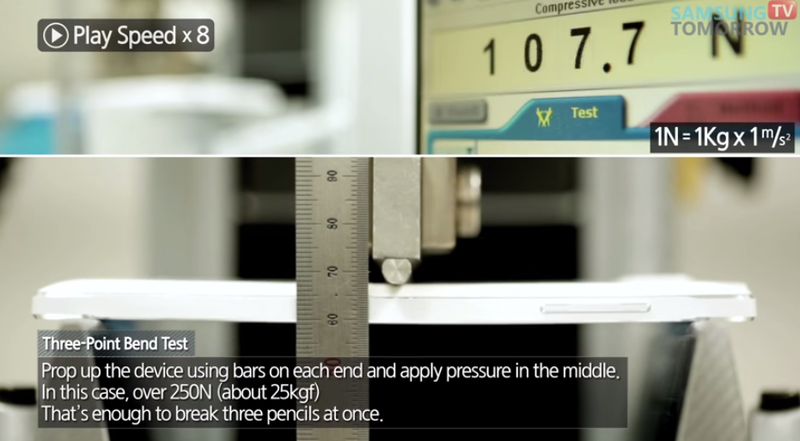 The company released a video showing how they test the Galaxy Note 4 (and all their smartphones) against pressure that might cause it to bend or break. The test consists of weight equivalent to and beyond average humans being forced upon the middle as it’s stationed between two pillars. This gives them a proper platform to bend the device in a way that simulates real world conditions. Of course, Samsung’s phone springs back into shape just as easily as it should. In the video, Samsung touches on the fact that the Note 4 uses a metal frame and a magnesium bracket to ensure superior durability. This isn’t a bad way to open the eyes of folks who might have been put off by the iPhone 6+’s build issues without having to hurl a bag of insults at Apple. Take a look at the video above.